Wild youth behavior is a reality for some English adolescents, and for a segment of Amish youth as well. Jim Cates returns with a look at those youth–some of whom soon find themselves in quite different circumstances. Long before Wal-Mart discovered that “Back in Black” was a catchy musical backdrop for its television ads, the youngie in Topeka, Indiana were regularly blasting that rock anthem from boom boxes in their buggies on Saturday nights. That was a startling revelation, despite my involvement with Amish youth. That awareness of the more “human” side of the Amish experience also launches several of the posts that follow. An introduction seems appropriate. Shortly after the century turned, I had become involved in starting an alcohol education program in the Elkhart-LaGrange settlement for this very crowd (among others) that now rolled by, music blaring. Once our program was established, it was apparent we had stumbled onto something that might be around for a time, and more permanent office space made sense. It also made sense to expand my private practice, and so I purchased a home in Topeka, on the edge of the settlement, that could be renovated into office space to serve both purposes. Long on vision and short on cash, I began to spend weekends that fall cleaning and doing the type of home repair and renovations that fell within my skills. And so I would arrive on Saturday morning, work until dinner, retire to Tiffany’s restaurant across the street, and then settle in for an early evening rest on the porch before returning for a few more hours of work. If you have never been to Topeka, imagine the quiet and comfort of any small town in America and you have the beauty of this burg. Add the sound of horse’s hooves and the creak of buggy wheels, and you have the added allure of the Amish as they go about their daily lives, a scant few miles from the heavily touristed areas, and thus a more relaxed and friendly setting. Sitting on the porch in fair weather also meant watching children ride by on bikes, hearing their play at the nearby park, and the hum of traffic on the main street a few yards away. And listening to the bass thrum of AC/DC blaring from speakers as buggies clipped by full of youngie. I know it was just me, but over time it seemed that the horses pulling these rockin’ buggies had an especially lively step, as if they too knew this was a special moment in their lives that was not to be repeated. The drivers were always male, dressed in English clothes. Sometimes a more daring female companion wore English clothes as well, but more often she remained in plain dress, replete with head covering. And yet they all rode with a sense of derring-do, cigarette smoke pluming to the side of the buggy as it rolled by, a reminder to those of us they passed that youth in any culture disdains its elders. And yet that disdain cannot last forever. We all grow older. Some of these youth who drove by so proudly eventually graced the door of the very house where I sat. They were on their way to mandatory alcohol education classes, having been arrested by local law enforcement for alcohol possession and consumption charges brought about by their youthful disdain. Once able to drop the need to remind themselves and their friends that they were fearless, they were able to speak of the vulnerabilities and uncertainties that plagued their lives. And so many of them have now reached an age when they are no longer playing “Shook Me All Night Long,” but are walking the floor all night long with their second, third, or fourth child. Some have even been tapped to be deacon or a minister in their church. The difference between us of course, is that hard rock is now a distant memory for them, a part of their life tucked away with their cigarettes when they joined the church. Oh, at times they enjoy a country song at the factory, but not the slammin’ bass and screaming lyrics of heavy metal. On the other hand, I still tune the radio to classic rock. I have the bad habit of cranking AC/DC whenever their songs enter the mix of disco, soft rock, and an occasional folk ballad. 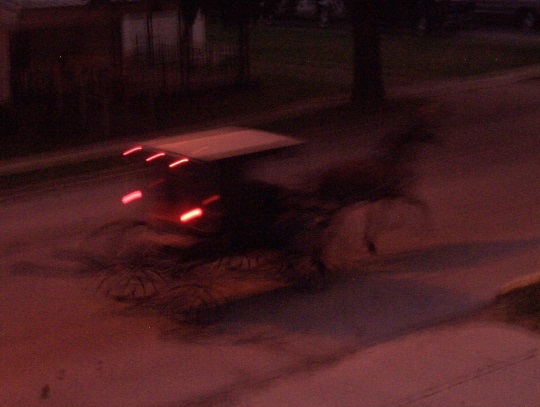 And I cannot hear “Back in Black” without seeing a horse trotting down the street. He almost seems proud to be chosen for tonight’s adventure. Inside the buggy he is pulling sits a boy in English clothes, and a girl in plain dress. Cigarette smoke wafts out the side. They feel a disdain for those of us who watch them, unaware of either the trials or the beauty that await in their lives. Such is youth in any culture. Jim Cates is the author of Serving the Amish: A Cultural Guide for Professionals. He can be contacted through this blog or his website at servingtheamish.net. Are the “Topekas” from any specific district, or are they from several districts? 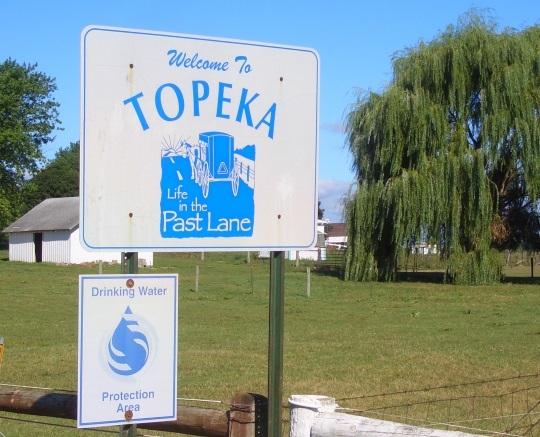 Al – The Topekas centered in the Topeka Indiana area, although there were youth who joined them from other areas as well. I love the charm of Topeka, IN. 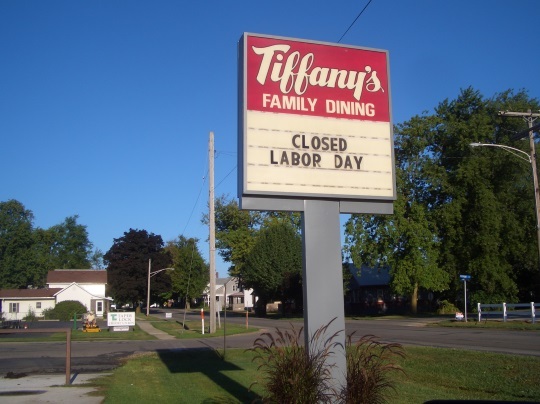 I’ve visited there many times and always had dinner or lunch at Tiffany’s-wonderful food! Thunderstruck is my favorite from the AC/DC Hymnal book. Although not Amish, I wanted to thank you for the work you described yourself doing about substance and alcohol abuse in that particular community. I’m sure the adults who you helped appreciate the effort from when they where youngies. I like pretty much anything in the AC/DC hymnal, to be honest, but I agree – Thunderstruck has some awesome licks. As to the program – I have talked about that more elsewhere, but my affiliation with the Amish Youth Vision Project (which oversees the alcohol education program) is one of my professional endeavors that I treasure. So much of what is good about it and has been successful came about because of prayerful concern and support from within the Amish community, and in particular because of Amish young adults who work with the program and build bridges with the youngie who come through the doors. Thanks! Your statement about country music brings back a memory. I heard an Amishman sing this at work (production line in an RV factory) about a month ago “life’s a dance you learn as you go, sometimes you lead, sometimes you wait on electrical…” The Amishman in question had finished his current unit and was waiting for the electrical group to finish up and roll the unit to his position in metal work / exteriors. He obviously knew the original tune and was adding his humorous twist to the lyrics. When I was a young teen at my first job, my boss always had country on. So I have my own twist for some songs, too. Like Alan Jackson’s “If everybody everywhere had a lighter load to bear and a little bit of Peanut Butter Pie” BTW I love peanut butter pie.